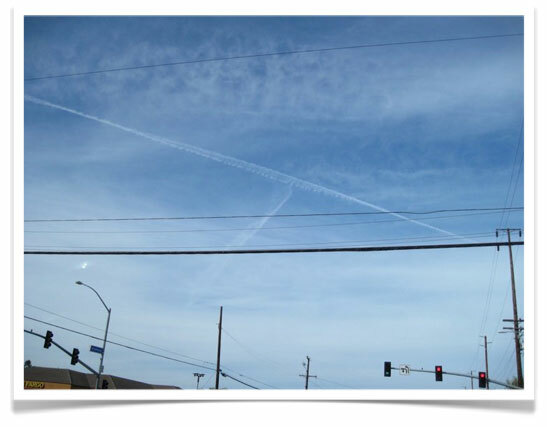 Chemtrails and Chemtrail Planes - Chemtrails Spraying and Chemtrail Planes - CHEMTRAIL PLANES Chemtrail Information - Stop Chemtrail Spraying in California! 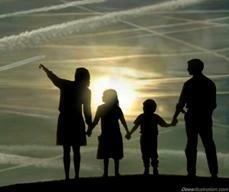 Chemical Trails or Chemtrails or Aerosols are a very real threat to humanity on a global scale. It is unclear exactly who is behind the planetary operation that is spraying innocent citizens with toxic chemicals containing among other things calcium, magnesium, barium and aluminum oxide and other sub-micron particulates containing live biological matter. It is easy to blame local government officials for this operation, but it is most likely something that is being coordinated at a much higher level and kept in secret by ridicule and threats. Having said that anyone who continues to aid this operations existence should be held 100% accountable for its effects on the population it harms. We would like to suggest that anyone willing to blow the whistle on such operations be given complete immunity and celebrated like a true hero. Those who continue to contribute to these acts of illegal bio terror should be apprehended and prosecuted to the full extent of the law. 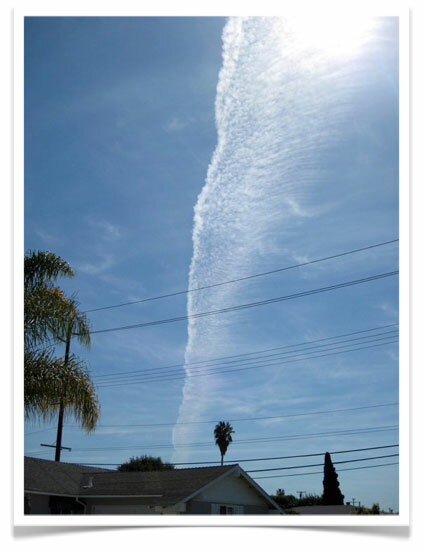 A Chemtrail is a chemical trail that is sprayed from 10,000 to 20,000 feet to avoid commercial air traffic, and to better control the diffusion into the local area. Marker planes are used to lay down indicators marking the borders for the heavier planes to spray metric tons of toxic particulates into the region below. 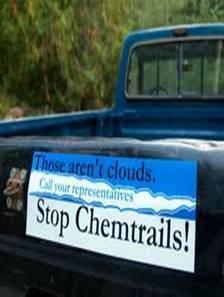 All forms of government have weighed in on the matter of Chemtrails. Here is a list of common lies that surround this attack on the human race. 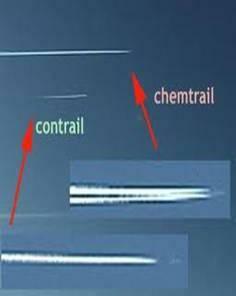 Contrails are the 10 to 15 second trails that follow normal commercial aircraft. 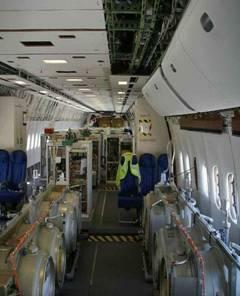 This is due to ice crystals forming within the vapor trails of normal jet engines. There is one catch with these being submitted as the cause for Chemtrails…they don’t last more than 45 seconds at a top estimate. 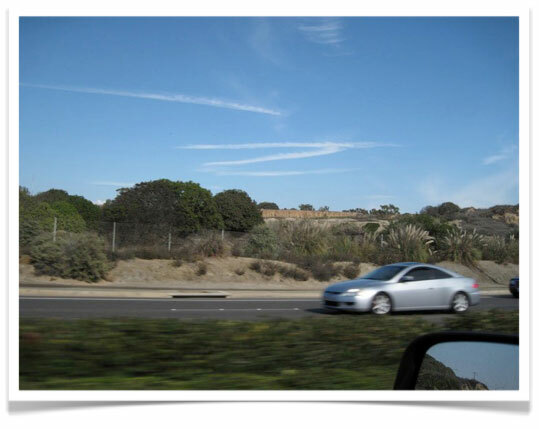 Chemtrails never subside, and later wisp into cloud looking structures that are later mistaken for natural objects. If this were the case, then on any given day, dozens of planes are filling up at the same gas station, which given the nature of airports is a ludicrous assertion. First and foremost, Global Warming is a scam of the highest order. Secondly, there aren’t enough planes in the world to begin to attempt this charade of cover story. To laden the entire atmosphere with a powder would take thousands of times more planes flying around the clock and it would be a safe estimate that we the people below would be covered head to foot in the fallout. This cover story has been taught to eight graders in America to certify this deadly program as “good” to unsuspecting and trusting children. Lying to children in our mind is the most devious act any adult could ever engage in. If your child has been taught this, it is imperative that you undo this untruth. There is mixed evidence to support varying answers. 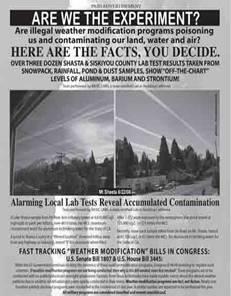 Most agree that in the late 1990s a more concentrated effort arose to spray every major populated area with Chemtrails. The musician Prince admitted that when he was a young man in the late 1960s early 1970s he would notice Chemtrails sprayed over his neighborhood. There are photographs dating back to the late 1940s that show fleets of planes leaving smoke trails behind, but it is impossible to verify the authenticity nor circumstances behind these photos. 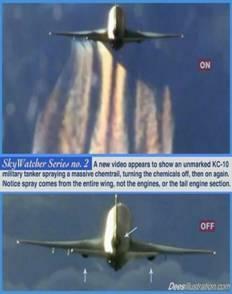 A community in Santa Fe New Mexico noticed a violent increase in Chemtrail occurrence towards the end of 1997. The retirement community is populated with artists who enjoy painting the local vistas and noticed that planes were disrupting the normal blue skies with white trails that never seem to go away, but merged to create hazy cloud like cover. Salt has a profound effect on the atmosphere and the human body. In the simplest sense, salt gives water or moisture the ability to carry an electrical charge. If the human body is converted into an electrical circuit then the ability to control that body through electrical stimulation becomes possible. Keep in mind that these particles are on the fraction of a micron scale, and can enter the body through any membrane on the epidermis. Government weapons such as the HARRP antenna in Alaska have the patented (investigate Bernard Eastlund) ability to broadcast neuro-frequencies over a population creating an general pattern of thought process. It sounds like science fiction, but it’s truly science fact. HARRP is unique in that it possesses the power to tap into ELF energy that sustains the human mind and nervous system. As the atmosphere is manipulated through electrical means, a human’s ability to maintain control over their thoughts and internal neural communication is impaired. This can lead to mood manipulation as well as basic physical processes. These too are sub micron sized fibers that cannot be seen by the naked eye. These are ingested through normal breathing and can be melted by typical bodily fluids like saliva. It is a well known fact that many pathogens cannot survive outside of their human host. However, encapsulated inside a friendly fiber might provide the safe haven until a suitable human host can be found. It’s pretty terrifying to imagine that foreign blood cells that have been freeze dried are falling from the sky only to be swallowed by unsuspecting citizens, but there is indeed evidence by researchers of Chemtrails to suggest that this is indeed happening globally. An American citizen Clifford Carnicom submitted to the EPA a sample of his evidence gathered from the interior of a Chemtrail. His certified letter noted that he had found what appeared to be sub micron particulates inside trails that originated from airplanes. The EPA received the materials, and after a year and a half refused to analyze the materials thus contradicting there mission statement to investigate claims of potential hazards to the citizens of America. They also included in their letter a carefully phrased stating they were “not aware” of any aerosol program in the United States. If any of you have listened to the “I don’t recall” defense used to bail out every guilty politician, we hope you can appreciate the value of their tactic. The group that works to curb all things bad for the environment and the people, refuses to contribute any time or money to this issue that is more global than whale hunting or dolphin netting. The Air Force which at a minimum would have to be looking the other way as they serve and protect our skies classifies any and all attempts to discuss the issue of Chemtrails as “a hoax.” We consider this an insult to the process of working for the people. Many want to fall back to the notion that Chemtrails are merely contrails that have miraculously managed to last hours in the sky and eventually diffuse into what appears to be clouds. 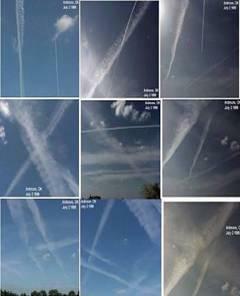 The primary problem with this train of thought is in the spraying patterns that pilots use when laying Chemtrails. At the time of this writing (Fall 2010) it appears that those in charge are attempting to change their techniques in order to conceal the blatant nature of their nefarious operation. Here is a list of some sample techniques we’ve personally photographed. 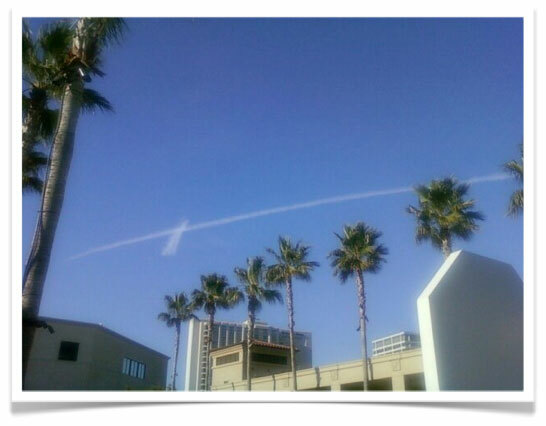 In a sky that harbors massive Chemtrails that stretch hundreds of miles in the sky over Southern California, tiny markers or lines as you might call them are initially laid to give the secondary pass boundaries for where to start and stop their longer “from to” segments. If Chemtrails were due to fuel, then that fuel is miraculously having a problem in dotted lines while all the perpendicular planes are incurring immediate and sudden fuel problems as they cross these marker bursts. If it were an atmospheric problem there would be little case for a small burst of solid crystals while perpendicular planes denote solid pockets of phenomenon. As pilots are instructed to strategically fill marked off areas, they achieve this simple goal by turning off their sprayers when they have reached their clearly denoted barrier or boundary. 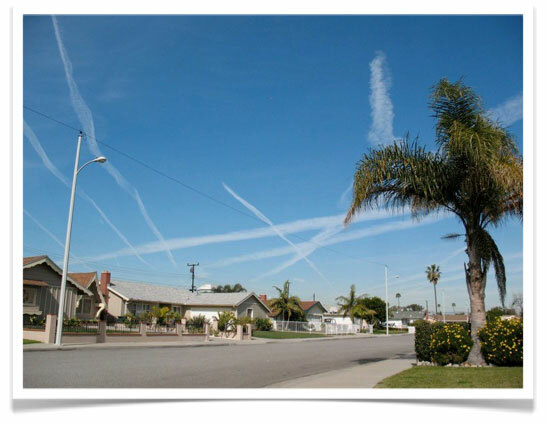 In some cases the designated or authorized areas of spraying require a slimmer region of spraying which is filled in by secondary spraying that starts at one boundary and ends very quickly at a neighboring Chemtrail. 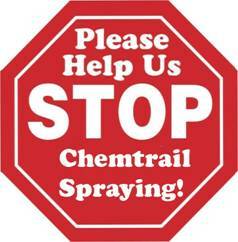 At no point have the citizens of this world given any body or government agency the right to spray them with chemicals. Regardless of whether or not one wants to believe that Chemtrails are vitamins from space or the toxic chemicals that they truly are, we as a people have not agreed to this operation. Therefore, it is in direct violation of our rights as human beings on this Earth to have other equal humans decide to conspire to spray us with something we are unaware of. It is vital that we as a global population do not lose this inalienable right to maintain our health the way we see fit. 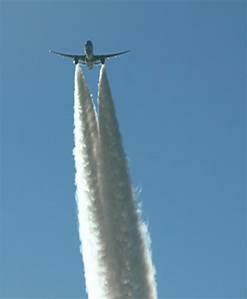 One of the most alarming facts about Chemtrail spraying is in the local area illness rates. Respiratory problems that are blamed on age old “asthma” conditions, but also a mysterious array of “Flu Like” symptoms that lack true flu viral infections. They spray, we get sick, and the doctors blame the illness on their book of usual suspects. We’re confident that once you start to monitor trail spraying in your area, you will notice the cascade of local illnesses that spring up within seven days. Note that we’re not trying to associate the normal flow of colds and flu that plague normal life, but the sudden sickness of several people some of which have not been in public places all coming down with the same conditions. It’s truly remarkable and alarming to say the least. You might be asking yourself what is HARRP? We are going to be covering HARRP in an up coming article with far greater detail, but the short and dirty is that HARRP or High Frequency Active Auroral Research Program is a secret new weapon of mass destruction that is being presented to the public as an open research program to study the ionosphere. The truth is that for being a “public” program paid for by tax payer dollars, former governors are unable to access the grounds even with senatorial consent. 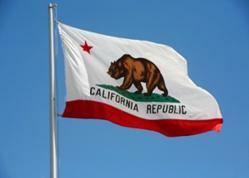 HARRP is based on several patents developed by one Bernard Eastlund. Among other things, these patents laid out methods for controlling human thought in mass, creating earthquakes, manipulating weather, and destroying ares of the world by modulating the ionosphere to slap the surface of the Earth causing damage far greater than a nuclear bomb without the fallout. It is deeply believed that many of the agents being dropped from Chemtrails help enable HARRP to manipulate human thought by energizing the otherwise nonconductive air we breathe. We understand that this all sounds incredible, but patents aren’t awarded for ideas without proof of scientific method. One can’t patent a plastic wand that claims to change straw into gold as an example. There is a race on regardless if you’re aware. Them against us. Those who are nefariously spraying us with toxins against our will, and those of us trying to live the life that our forefathers laid down for us. What we need are more people photographing these acts. We need 24 hour coverage in every corner of the world. If you see a plane emitting a trail that lasts over 45 seconds, take a picture of the trail, the plane, and what the trail turns into after an hour. To the best of your ability, record the time of day, and location where you took the shot. When the time comes for us to haul these criminals into court, we will be able to trace down the pilots, the commanding officers, and all their superiors until each and every one of them are behind bars or other using this photographic proof. 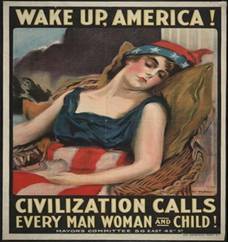 Millions of infants and young children are now afflicted with a variety of chronic upper respiratory illnesses (asthma, chronic bronchitis, hard-to-treat pneumonia) as never seen before in history.